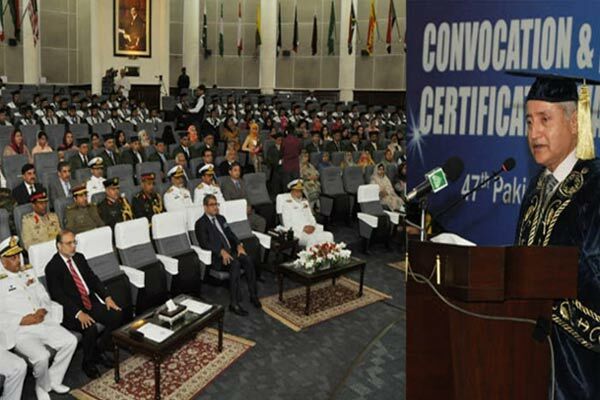 Rear Admiral Naveed Ahmed Rizvi HI (M), Commandant Pakistan Navy War College invited Dr Hasan Sohaib Murad, Chairman, Board of Governors, to attend the Convocation Ceremony of 47th Pakistan Navy Staff Course on 24 May 24, 2018. Dr Murad also met with Admiral Zafar Mahmood Abbasi NI (M), Chief of Naval Staff who graced the occasion as chief guest and discussed gamut of affairs around oceanography and maritime economy. 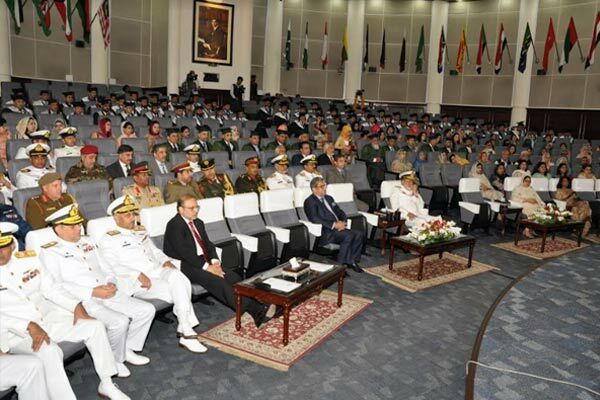 Dr Murad paid glorious tributes to the role of Pakistan Navy for defending the shores of our beloved homeland and offered his continuous support to Pakistan Navy to discover opportunities of quality research in maritime affairs.